This recessed heavy-duty flush pull handle is made of a very durable cast iron and is compatible with doors over 1¾" thick. This handle can be used with heavy sliding barn doors, dutch doors, and more! This heavy-duty flush pull door insert has a pull handle for easy operation for sliding barn doors. 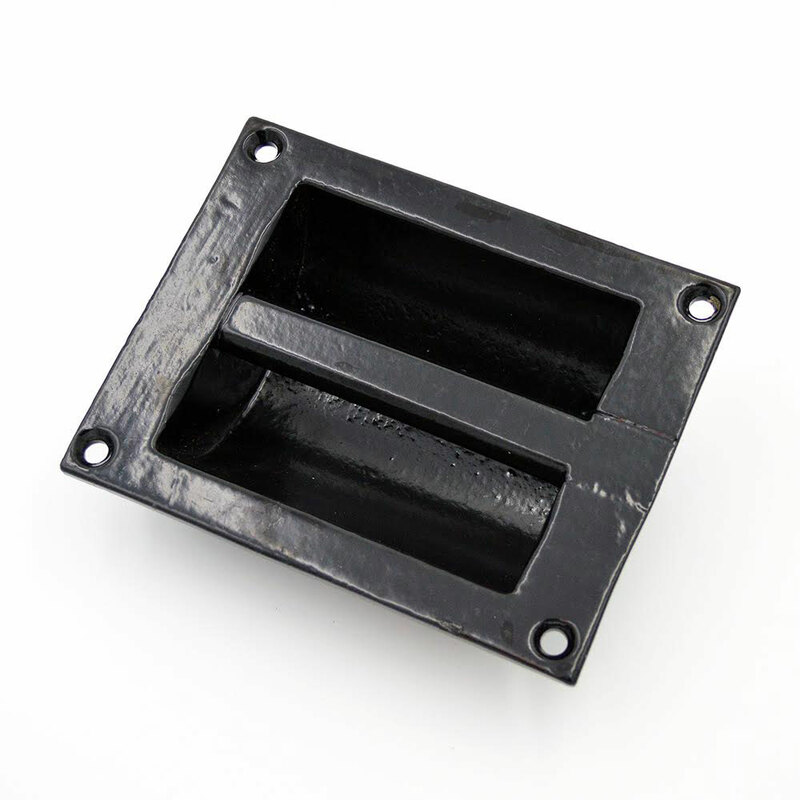 It is made of cast iron, so it will be durable and will last for years of excellent operation. This handle is made to be used with doors over 1¾" thick; it requires a 1½" deep mortise. - "This is truly a rugged heavy duty handle!" Door Compatibility: Doors over 1¾" thick; it requires a 1½" deep mortise. Installation: Can be installed for right or left-handed doors. *Note: Screws are required for installation, but are not included with the flush pull handle.